An online shopper sees an item they’ve been wanting and decides it is a good deal. They decide to purchase it, but the moment they hit the “check out” button, their price suddenly doubles. Does this sound a little too familiar? When it comes to making an online purchase, it will not matter if an online retailer is able to sell a book for $10 if the shipping cost is going to double the total. One of the top reasons for cart abandonment is that the customer is presented with unexpected costs. Free shipping is one option, but this is often difficult to offer and can cause your ecommerce company to lose money. (See: Free Shipping Mistakes to Avoid) Instead your company can offer free or discounted shipping for purchases over a certain amount. That $10 book may come with a $15 shipping fee, but if the consumer were to purchase an additional $15 book, their shipping fee may be waived. With proper advertisement of these deals, the consumer is more likely to make a larger purchase and less likely to abandon their shopping cart during the checkout process. If free shipping or free shipping with a minimum is not an option, present customers with real-time shipping costs throughout the shopping process. 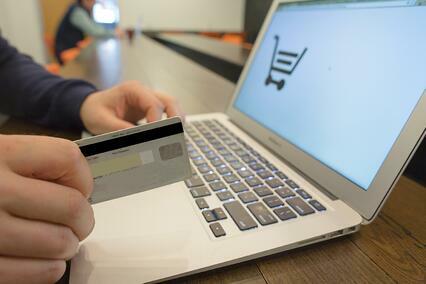 Many shopping carts have the built-in capacity to calculate the actual cost to ship an item. Other ways to avoid surprise shipping fees are to offer free shipping to repeat customers or flat-rate shipping. Check out Choosing the Right Shipping Strategy for more information on alternative shipping options. At this point, you have streamlined your shipping process. The consumer is aware of the price of their purchase, the price of shipping, and any included taxes. All a customer has to do now is select that "check out" button, input their information, and wait for their order to arrive. Unfortunately, most websites offer an extra step in between - the annoying "sign in" feature that seems to throw a wrench in the works. Many websites will not allow a consumer to check out if they don't have an account with them. While having an account can save customer information and make future purchasing more convenient for the customer, it is also a large step to complete if a customer is attempting to make a quick or one-time purchase. The solution to this is simple: guest check-out. By offering guest check-out, a consumer is free to input only the necessary shipping and payment information for the current order. If they're happy with the service, they will be more likely to come back later and create an account for future purchases. It is also important to remember that some customers will not want to create an account simply because of online security concerns. The consumer knows what they are paying for. They've selected "guest check out" and have input all their shipping requirements. Now, they've reached the payment page and your company only accepts Visa or MasterCard. The customer doesn't have access to these options, causing them to leave your website for someone who accepts PayPal or even a direct withdrawal from their checking account. Partnering with multiple credit card and banking companies may cost more in the short-term, but in the long-term, it will lead to increased sales and higher profits. This one is important. There are many big name websites that a customer will default to because they know and trust the company. They know the product will be reliable. They know the company offers open communication systems such as call centers or online click-to-chat services. It is important for ecommerce companies to offer support through multiple channels including live chat, a toll-free contact center and a FAQ page. These simple communication channels can help gain customer trust. People want to know that they're working with a company that cares about security and quality, not just money. The FAQ page should be easy to find and answer questions about how shipping and returns work, what the company's refund policy is, and how the company operates as a whole. Once a customer believes in your customer service, clicking that final "submit" button will leave them with a pleasant experience and a retained and completed shopping cart. PBD Worldwide is here to help with any shipping concerns you may have for your company. Please contact us to talk about a partnership today.